Gift Certificates | Arthur Murray Dance Studio, Narbeth & Paoli, PA.
Are you looking for a unique and fun gift for someone you know? Do you want to surprise that special someone with the dance lesson he or she has always wanted to take? Click on the appropriate gift certificate image below to purchase. The Perfect special occasion or just because Gift. Has someone in your life been talking about trying something new and exciting or wanting get more fit and active? 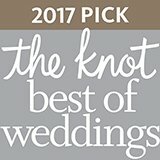 Has your important someone talked about always wanting to learn Tango, Jitterbug/Swing or Salsa? The Dream Gift Certificate is a thoughtful way for someone you care about to try a couple dance classes in any dance style they choose. This is a great way to really try out the wonderful journey of learning to dance. This course will give your special someone an opportunity to explore a few different types of Dance. Get ready to check Ballroom Dancing off your list! 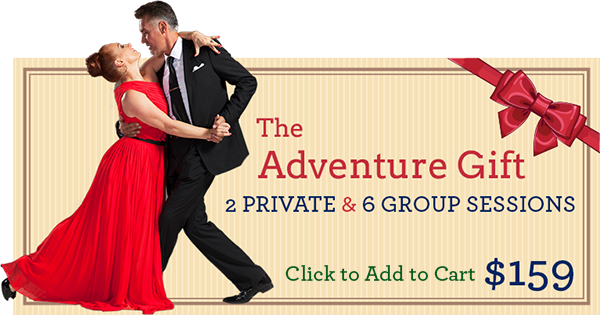 Tango, Salsa, Jitterbug, Cha Cha and so many other beautiful dances to choose from. 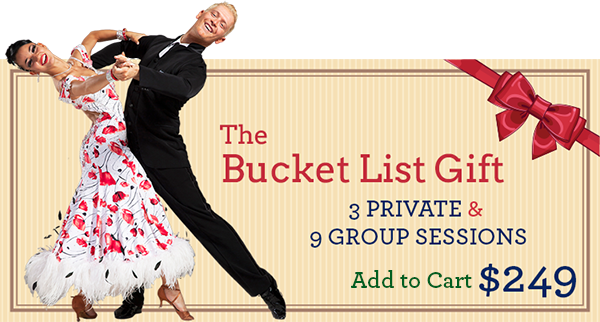 The Bucket List Gift Certificate is enough time to really get a feel for the style of dance they have been wanting to learn. Click on the appropriate gift certificate image above to purchase.